Escape into a world of total comfort, relaxation, and rejuvenation. Treat yourself to a luxurious experience you deserve By taking a bath, you can completely transform your mind body and soul. The minerals inside a high-quality bath salt promote healthy, more youthful skin. When you use a high quality bath salt, you’ll find your skin will feel smoother and softer after your bath. Bath salt also helps purge impurities from your skin, resulting in a clean and radiant glow. 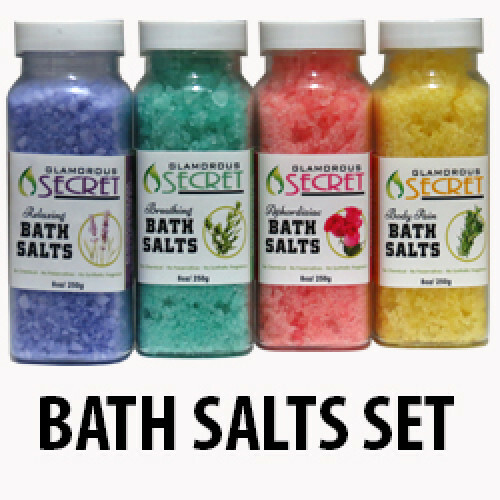 This set contains all four of our famous bath salts.